In just 30 years it may be quite common for Finnish travellers to reach Berlin by rail in just ten hours, or take a 15-minute commute from Helsinki to work in Estonia. What will Finnish transportation look like in 2050 in light of increased automation and climate change? The Finnish Broadcasting Company Yle teamed up with students from the Metropolia and Haaga-Helia universities of applied sciences to envision transportation options that could realistically be available to Finnish travellers in just three decades. The team relied on projections from the BIOS socio-ecological development research unit, transport experts and futurologists to hazard some guesses. The consensus is that by 2050, people will be able to travel from Helsinki to Tallinn in just 15 minutes. Passengers will be able to enter a hyperloop capsule that will speed at 1,200 km/hour through a vacuum tube. The same set-up could potentially shoot people from Helsinki to Stockholm in under a half-hour. Traditional trains will run at a fraction of their current time. Tunnels will connect Helsinki and Tallinn in 30 minutes and the Rail Baltica network will make it possible to continue from Tallinn via Warsaw to Berlin, transporting passengers and freight there in just 10 hours. A one-hour intercity train will link Helsinki and Turku, as well as Turku and Tampere. Similarly, the duration of trips to Jyväskylä and Oulu will be halved. Finland might even have a system of super-fast magnetic levitation tracks by then, with elevated trains capable of travelling at up to 600 kilometres per hour. 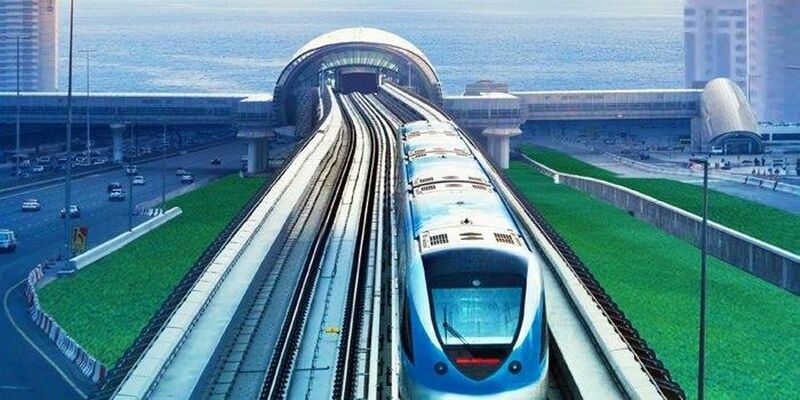 Maglev is founded on the principle of magnetic propulsion, which allows the trains to 'float', with no moving parts. It goes without says that by the year 2050, all forms of public transportation – including buses, metro trains and trams – will no longer need drivers. The improved transport links will have a significant impact on the Finnish economy as more and more people will work, holiday and engage in trade outside of the nation's borders. Helsinki and Tallinn will become symbiotic cities, much like Malmö and Copenhagen are today. China will also feel closer as railway connections improve. China's Belt and Road Initiative seeks to revive the ancient Silk Road trade routes from Asia to Europe, and a superfast route connecting China and Moscow will be operative by 2040. Once the expensive infrastructure for these new connections is in place, costs should become manageable as maintenance will be minimal. Train cars will be able to dock together, eliminating the need for stations and platforms. They will run on electricity from renewable energy, making travel emission-free with minimum running expense. Future train trips will be comfortable, too. Facilities for working on board will meet every possible need and each train will provide food, fitness rooms and private compartments. Unnecessary stops and waiting at platforms will be eliminated, meaning that combined with the lower price, people will likely begin to favour any future trains, hyperloops and maglevs over planes – good news for the planet.